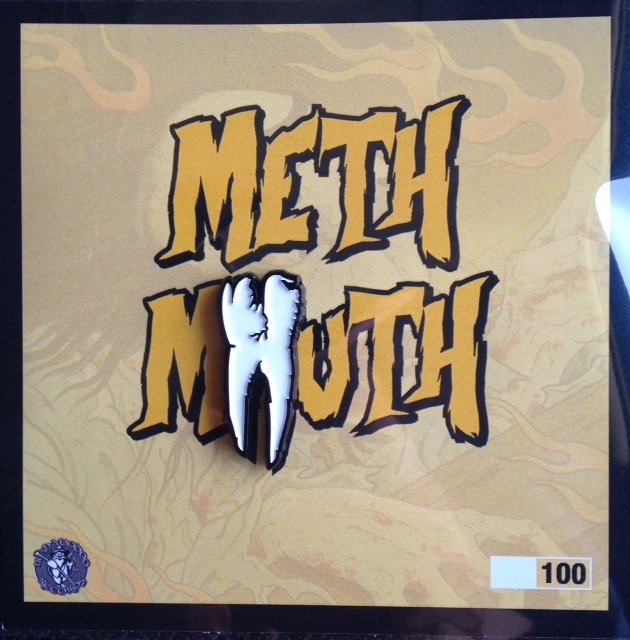 1.5″ Soft enamel METH MOUTH pin. 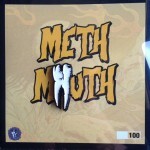 Mounted on a hand numbered backing card in an edition of 100 made. 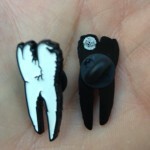 Backing posts with rubber pin backs. 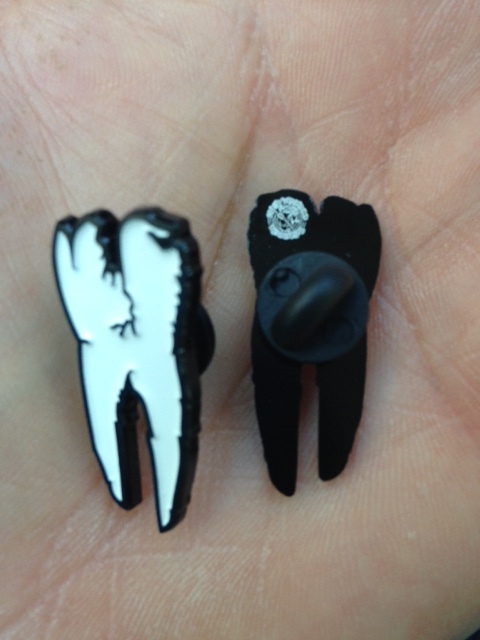 Comes with the limited Meth Mouth “Death Rattle” demo tape.